Thank you for having interest in our Home Based Center. 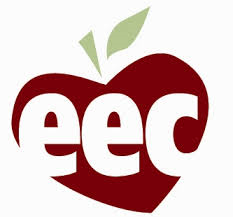 Our Center is licensed and certified by Early Education Child Care. We follow their guide lines to help keep and maintain a safe healthy flow. Step by Step Learning Center is a privately owned organization created to help maintain a steady growth in a environment that kids in any age will enjoy. Our teachers are certified and trained to handle every child at their own pace and comfort. We have experience with kids of all ages and special disabilities. We are fluent in Spanish and BSL. We offer smaller classroom sizes to help the learning experience be greater. We specialize with infants through five years of age. We provide a safe, clean, happy environment where children can thrive. Our fun and easy curriculum helps kids develop and prepare for school. We offer part time and full time available care for children Monday- Friday 7:30 am – 5:00 pm. We have a fun educative schedule to help children engage in materials. Classes are taught the same material at different levels of the activity to help maximize learning experience and keep group engaged. We encourage healthy habits, developing skills and strengthening vocabulary. When the weather is permitted the children will be taken outside to explore the great outdoors within our playground. When possible special guest may be brought to our center to help educate and give your child a real life experience. It is our priority to ensure the safety and care of every child in our center. Fire drills will be conducted once a month at random to assure kids will be prepared in the event of an emergency. Our entire Center was created from scratch with the children in mind to maximize safety and security. Safe clean environment for everyone to thrive. We also offer hourly service when available. Once enrolled can do drop-off after confirming availability. Hourly service is offered 7 days a week 8:00 am- 9:00 pm $20/hour. Out side of normal Center hours we engage in games and play learn activities. We offer a snack or meal depending on time frame of stay. We keep it fun, light and enjoyable. Space is limited enroll now. Come find out why every body loves Step by Step Learning Center.